his Bachelor’s of Science from the University of California – Irvine. He then attended the New York College of Podiatric Medicine where he earned a degree as a Doctor of Podiatric Medicine. Dr. Culver then completed a three-year Podiatric Medicine and Surgery Residency at Lakewood Regional Medical Center in Lakewood California where he performed over 1000 foot and ankle procedures, as well as completing multiple rotations in various areas of medicine and surgery. medical and surgical assistance. While there he conducted rounds, performed surgery, and developed personal relationships with victims of the one of the most devastating natural disasters of our time. Dr. Culver has also travelled to Honduras with Baja Crippled Children’s Project to perform clubfoot surgery for children born with congenital deformities and no access to medical care. Dr. Culver has also spoken at the National Youth Leadership Forum held annually at UCLA as well as other local speaking engagements. He is enthusiastic about sharing his expertise in Foot and Ankle injuries wherever it may be needed. 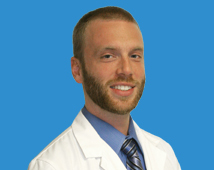 Dr. Culver was born in Iowa, and has lived on both coasts for over a decade each. He resides and practices in Southern California and enjoys the benefits of its excellent weather and the myriad of outdoor activities available. As an athlete himself, he understands the difficulty of dealing with complex foot and ankle injuries and their impact on the overall health and quality of life on an individual. He always strives to maintain the highest level of care and bring his values of honesty and integrity into the work place everyday.